The Health Resources and Services Administration’s Workplace Partnership for Life (WPFL) Hospital Organ Donation Campaign recently recognized more than 1,200 hospitals and transplant centers, including 314 small and rural hospitals, for their efforts to promote organ donation awareness and registration. Hospitals earned platinum, gold, silver, and bronze recognition based on the number of outreach activities they implemented and donor registrations they facilitated between October 2017 and April 2018. 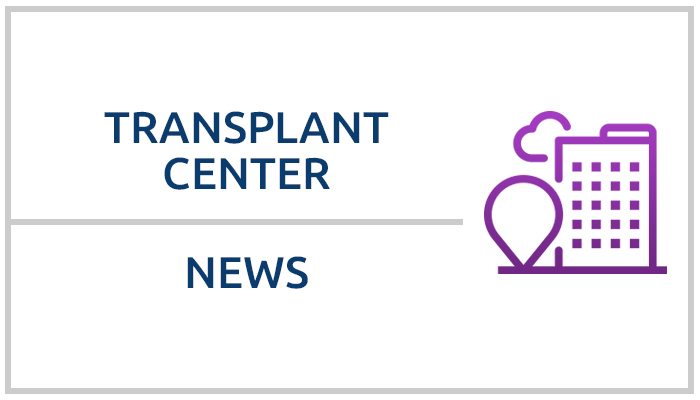 The Campaign unites hospitals, healthcare associations, organ procurement organizations, and Donate Life America affiliates in this national initiative to increase the number of people who register as organ, eye, and tissue donors. Campaign participants added nearly 23,700 donor registrations to state registries and the Puerto Rico registry, which includes enrollments from the U.S. Virgin Islands. Overall, hospital participation in the Campaign increased by 9 percent, including a 10 percent increase in small/rural hospital participation. UNOS is a national partner in the campaign and proud to support this national initiative, which has enrolled more than 443,430 organ donors since its launch in June 2011. We encourage more hospitals, state hospital associations, and donation organizations across the country to join this important effort to help increase donor registrations. Visit their website to learn more about the WPFL Hospital Organ Donation Campaign.